Latrobe resident Paul DeStefano has joined the law firm of Edgar Snyder & Associates as its Investigations Manager. 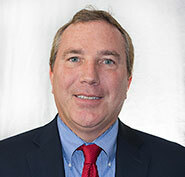 He comes to the firm after retiring as a Lieutenant with the Pennsylvania State Police following 27 years of service. Mr. DeStefano served as Station Commander at the Pittsburgh, Kiski Valley, and Indiana Stations and was a supervisor on the FBI Joint Terrorism Task Force after 9/11. He was also the Western Section Commander of Bureau of Criminal Investigation of Drug Law Division and Organized Crime supervisor. Mr. DeStefano is a member of the FBI National Academy Alumni Association, the Westmoreland County Chiefs of Police Association, the Western Pennsylvania LEADS (Law Enforcement Agency Directors), and the Region 13 Counter-Terrorism Board. Edgar Snyder & Associates is a plaintiff's personal injury law firm representing people hurt in all types of accidents. The firm also represents injured workers and people who are disabled and in need of Social Security disability benefits. Office locations include Pittsburgh, Altoona, Ebensburg, Erie and Johnstown, Pennsylvania. Those interested in learning more about the firm can visit the 'Our Firm' section on the website.